I am a Certified Doula with DONA (Doulas of North America) and a Certified Childbirth Educator with CAPPA (Childbirth and Post Partum Professional Association) and have been attending births since 2007. I also have a background in Occupational Therapy and a degree in Health Science from Cal State University Long Beach. My belief is that all expectant parents be fully informed on the options and choices regarding the birth of their child. Being a doula and offering caring, continuous support as well as offering resources and information is what I am passionate about. I have always been intrigued by pregnancy and childbirth and consider it an honor to be present when a baby is born. 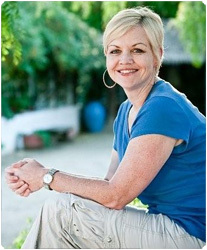 Tammy Leeper is a doula who provides birth doula services to clients in Orange County and Los Angeles, CA. Learn more about her background as a doula and how she can assist you with the birth of your next child.